Ice breakers are a great way to “form” a group and collectively begin to develop rapport with each other during a conference, meeting or training day. They can also be used in conjunction with each other and form an effective and fun team building session, on-site brown bag training or afternoon team bonding program. 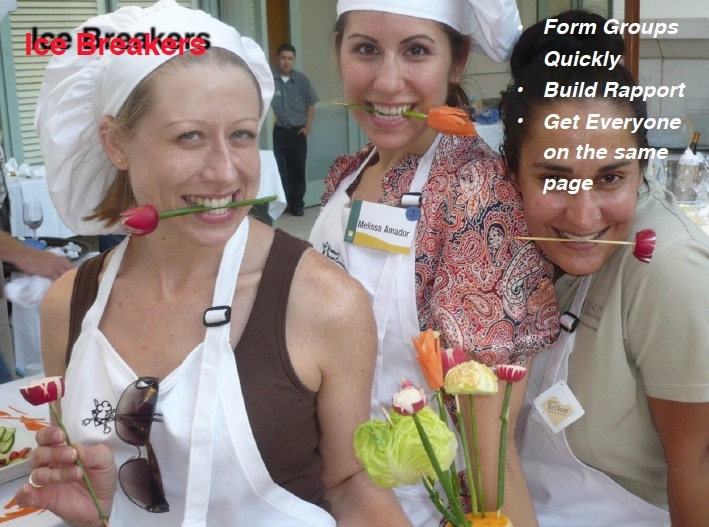 Let us know how you’d like to use these ice breakers for your next meeting so we can customize it just for your needs. A list of famous food pairings (salt & pepper, peanut butter & jelly, sweet & sour, chicken & waffles, etc.) are the theme of this ice breaker. Each word of the food pairs are written on a 3 x 5 card and taped to a persons back preventing them from knowing their word. The game is in order to figure out the word, they can only ask each other yes or no questions. The goal is to find your other half of your food pair. Once you’ve accomplished that task, you then sit down and find out three things that you have in common while the rest of the group continues with the exercise too. 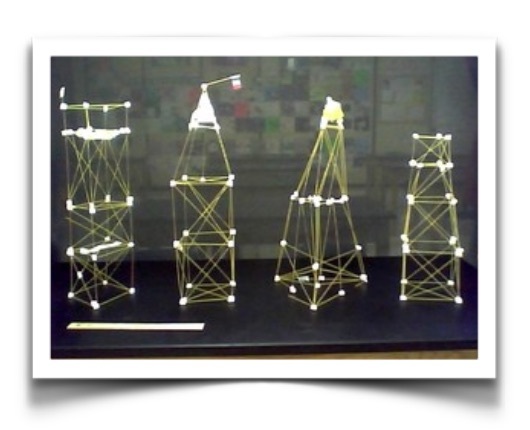 The game is simple, build the highest tower with only these following ingredients: dry spaghetti, marshmallows and scotch tape, and complete this task in a set amount of time. Some engineering is involved along with some out-of-the-(spaghetti) box thinking to be declared the winner. Your group forms a circle then is asked the question of each person, “If you were a food, food group or completed food item, what would you be and why?” Each person is given a minute of two to share and explain who they are to the group and in most cases, surprise the group with your answers. ADD THIS TO YOUR NEXT MEETING?